Manage Beneficiaries, Benefits and Schemes. Enter other Contact details including Next of Kin and Dependants. Process Disciplinary action and log events. Enter Expertise information, including Driving Licence. Select a picture for the employee to be used in some reports. Set up an organisation chart with Job Titles and FTE data. Manage sickness with Bradford Factor reporting, charts and graphs. Manage Holidays with entitlement and accrued time off. Allow employees to examine the absence of their colleagues. Allow employee self-service holiday requests online (coming soon). Administer Courses and Exams including supplier and venue. Track cost totals and per-person for venues, catering and resources. Enter CPD Hours, both structured and unstructured. Create waiting lists and quickly find candidates. Evaluate course with feedback forms. Each employee can view their colleagues’ absence from their own PC. 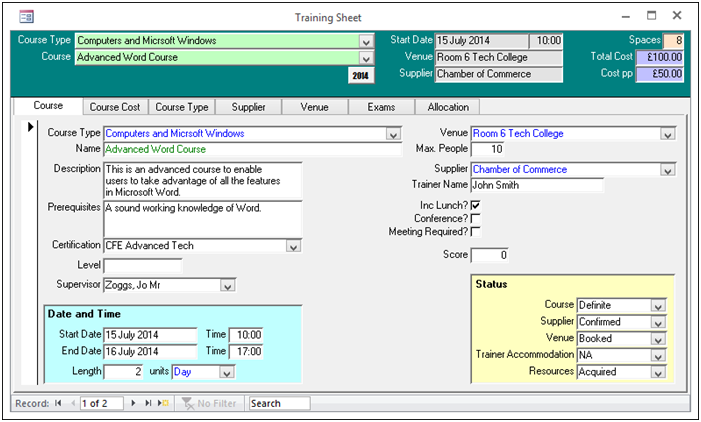 A wide range of options exist to enable Courses and Exams to be managed effectively. 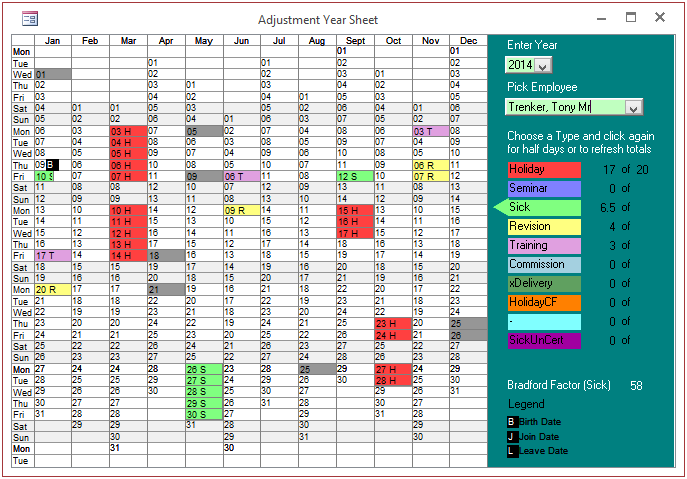 Reports can be produced quickly and easily based on dates, selected employees and criteria.